Multiple DCs. 50 States. Modern equipment and advantageous locations speed delivery around the country. Since 2010, WDSrx has grown exponentially each year with a strategy in place for continued expansion as our reputation for excellence spreads. WDSrx is exclusively dedicated to healthcare supply chain solutions. 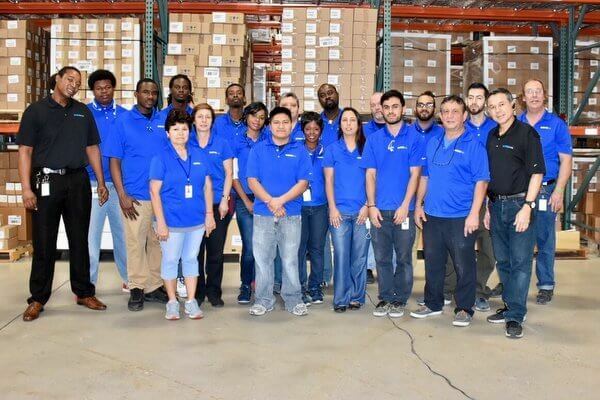 Facilities: Current facilities are located at Boca Raton, FL, Pompano Beach, FL and in Sugar Land, TX, Dayton, NJ and Lockbourne, OH with total warehouse space of approximately 450,000 square feet. As exclusive pharmaceutical contract manufacturers, each facility is dedicated to pharmaceutical drug products and related health and wellness categories.